The data storage media that are currently in force have been designed in digital form. the aim is to provide easier access to data owners and other users and be more practical in the storage process. The data stored must be able to be secured as much as possible and not change. Each data certainly has its own usefulness and this makes data security a priority. The technology currently in use still cannot handle data loss cases. this case often afflicts large companies or major institutions because of the high value of the data. This certainly disadvantages them because data can be misused which makes their image worse. Every data must be secured with reliable technological strength. The security system must be able to block any hacking data from all parties. Today’s technological sophistication does provide greater convenience to the community to manage their daily activities. But on the other hand, technology can also turn to attack them and actually cause losses. Therefore, a new technology was created to provide a solution to data security problems. Databloc provides full facilities for every user to store their data on the platform network. 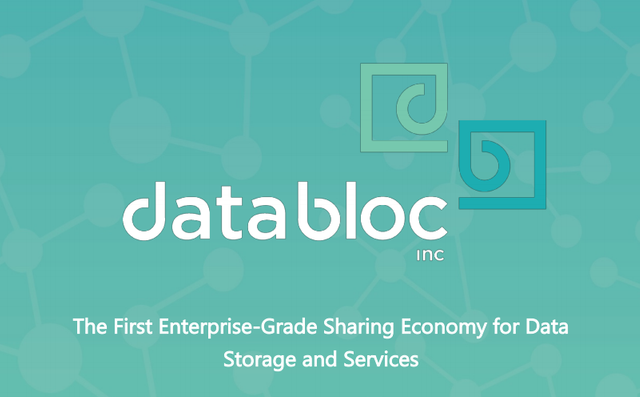 Databloc is a digital platform that was first built in 2018 where the initial steps have been started by the StoneFly platform. Databloc creates software that functions to store data digitally and manage it. This software is also known as StoneFusion. In creating this software, Databloc employs more than 16 experienced engineers in the field of software creation who are currently continuing to develop the Databloc platform. By creating this software, Databloc wants to provide many benefits to users in terms of data storage. they really understand that data is very valuable and important for the survival of a company or for individuals. They are really focused on creating software that has strong performance. Databloc software will support many data services and users can determine the type of storage for each data. Databloc software is designed to support data optimization. this is done because so far, storage media that contains millions of data is not entirely filled with active data. there is a data that is inactive in a very large number and this discards the availability of storage capacity. By using Databloc, every stored data can be ascertained as active data that is indeed needed by the user. So that the storage capacity will be able to load other data that will continue to be added to the software. Databloc will also provide greater convenience to users to access their data. This parangkat will maximize the time in the data search process. This advantage is truly felt where during this time we certainly have difficulty finding manually stored data. By using digital data storage facilities, the process of finding data can be done more practically and easily. Databloc software has a large storage space. given capacity can add large amounts of data. the user can store various data in large numbers and any type of format. Data security is also not to be doubted because Databloc applies blockchain technology which is famous for being very reliable in managing security systems. Each data is secured with an encryption key. This platform is currently being developed to bring the functionality of StoneFusion software into blockchain technology. Databloc adopts Ethereum’s blockchain technology so users can use digital tokens to support all types of payment transactions that are valid in Databloc. The process will be more efficiently executed and users only need to have the desired type of data storage service. Databloc is the latest version of StoneFusion software where the metadata storage system in Databloc has been further optimized. This software uses elastic hashing algorithms that are stored in the blockchain network so that the metadata in them remains intact and does not undergo any changes. This metadata is available at all nodes that have special permits. Anyone who is an expert in the digital network chain can easily find out which server stores user data using the path and hash file. This system shows greater efficiency because users can connect directly to the data storage server without any delay in the data loop. Elastic hashing plays a role in managing user data, while StoneFusion uses the Reed-Solomon Erasure Coding algorithm that can maintain data integrity when node failure occurs. Databloc will manage every data in its network to the maximum and ensure that no users suffer losses due to data damage or loss.